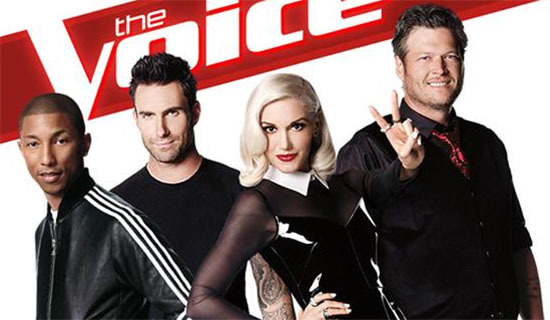 The Voice USA 2014 Battle Rounds premieres tonight, Monday, October 13, 2014. In the Battle Rounds, each coach pair two singers from their team and perform a song in front of the judges and studio audience. The winner in the Battle Rounds will advance to the Knockout Rounds while the losing artist is available for a ‘steal’ from other coaches. Season 7 The Voice advisors will be Alicia Keys for Team Pharrell, Stevie Nicks for Team Adam, Gavin Rossdale for Team Gwen, and Little Big Town for Team Blake. Battle Rounds Week 1 Recap and Videos will be posted below! Refresh your page for updates! Elyjuh wins the battle! No one steals Maiya. Sugar wins the battle! Adam and Pharrell steals Jean, but Jean picks Team Pharrell! James wins! Gwen steals Craig! Luke Wade wins the battle! Blake steals Griffin!